The Cesky Terrier originates from the Czech Republic and was created by Frantisek Horak in 1948. A cross between the Scottish Terrier and Sealyham Terrier (and possibly the Dandie Dinmont) , the dog produced was be slim enough to get down fox holes and also catch rats. By the 1980's, it was felt that the breed no longer resembled the original and attempts were made to get back to the 'original', so cross breeding began with the Sealyham Terrier. 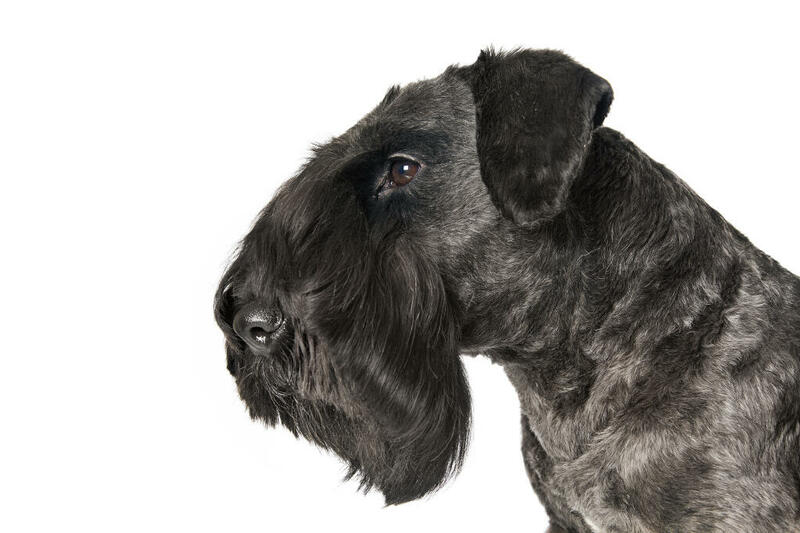 It is also known as the Bohemian Terrier and is quite rare. 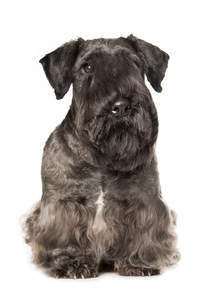 The Cesky Terrier is an affectionate, lively and content breed. They are calmer than other Terriers, but when it comes to hunting their natural traits will come out. They make good pets and are friendly around children and other dogs within the home. Cats can be hit and miss but usually fine if raised with them. They are patient around respectful children and love a game inside the house. If they have met a variety of different people from a young age, they are ok with strangers in the home, but will always bark a warning if someone approaches the front door. Friendly and calm, Ceskies make good therapy dogs and love the attention they receive. Training requires patience as these are Terriers after all. They require a firm hand and are capable of learning but their stubborn natural means that it will take time to train them. Food reward and praise works well, but recall will never be perfect unless hours are devoted to this alone. Their Terrier ways of hunting and chasing are bred into them, so they are best walked in a secure area or on a lead at all times. Being boss is vital to prevent this little dog taking over. Firm, consistent training is the key to over rule their feisty, stubborn ways. Although they do not react well to harsh words, a kind 'tough love' approach is best. They do well in competitions such as agility, earthdogs trials and obedience and love running around and showing off. Ceskies need a fair amount of exercise to keep them physically and mentally stimulated. A long walk every day is best, but they are quite happy with short walks and a vigorous game in the garden. They aren't demanding when it comes to exercise, but do need to get out and run around to expel energy. They love to play hide and seek with their favourite toy, have a good nose for scent, and this is one way to teach recall. 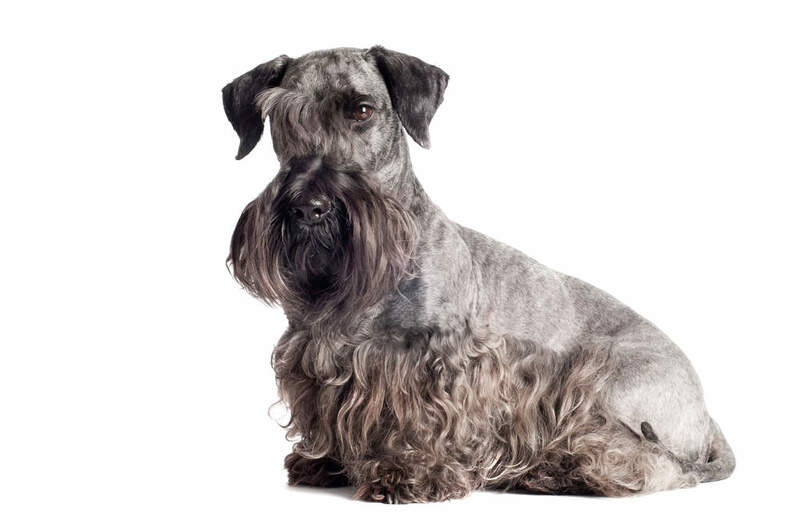 The Cesky's coat can be done in a variety of ways, but it is unusual in that it isn't stripped like most terriers. The coat should be clipped and hair left long around the stomach, legs and face to give the characteristic beard. 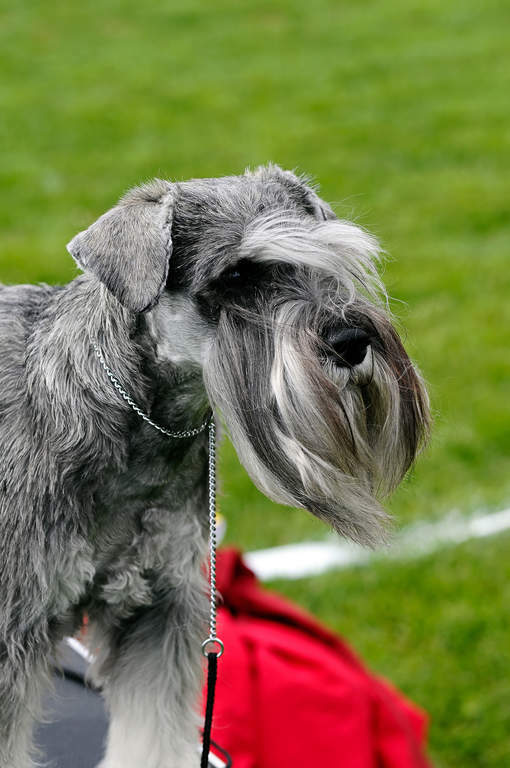 Show dogs are clipped more often, but pets usually 4 times a year. They will need brushing a couple of times a week. Health wise, they are quite a sturdy dog and only really suffer from Scotty Cramp - which causes no pain to the dog - and sometimes eye conditions. Cesky Terriers have a laid back and rugged temperament. They have a workmanlike attitude out on adventures and has great stamina. In the home they are fairly relaxed and one of the calmest terrier breeds. They enjoy games and are pretty good at making friends with other animals (at least for a terrier). They tend to be impartial to strangers but still polite. Health problems that may affect Cesky Terriers include canine hip dysplasia (CHD), luxating patella (dislocation of the kneecap) and Scottie cramp (limb spasms).